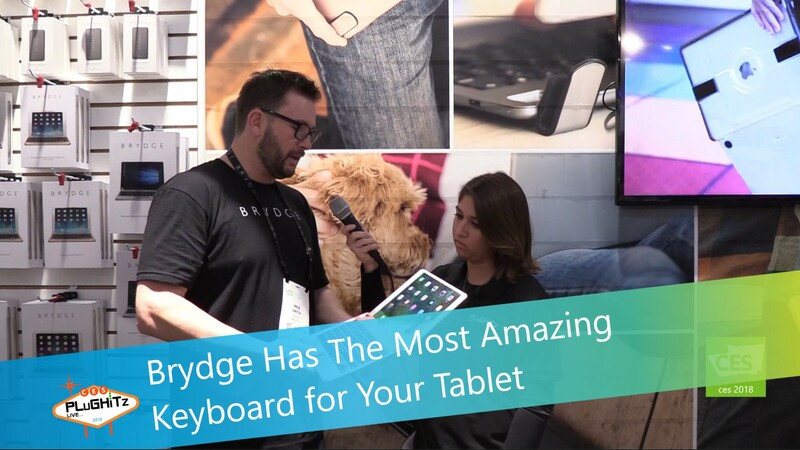 Brydge makes a unique range of keyboards and accessories for Apple's iPad and the Microsoft Surface Pro. They pride themselves on being the ultimate tablet companion. All of their keyboards are designed to change the way you use your tablet. Both the iPad and the Surface are high quality, high capability tablets. Sure, you can run simple apps and play games on them like their cheaper competitors, but they are designed to do so much more. There's no need to lug around a heavy laptop when you can do all of your mobile computing, and then some, right on your tablet. And let's be honest, when you spend good money on a nice quality device, you really don't want a cheap, plastic keyboard paired with it. The Brydge 12.3 for the Microsoft Surface Pro also delivers an unmatched laptop-like experience. The integrated glass touchpad allows maximum accuracy with minimal effort. Multiple finger inputs and multitouch gestures are simply a breeze. Everything you do on it feels natural and intuitive. It is also available with an integrated High-Speed SSD card (up to 600mb/s). The Brydge 12.3 Pro 128 and Pro 256 models offer the power user that little bit extra. If you have immediate storage needs or just want extra capacity at a later time, the Pro modes offer the flexibility of an external hard drive without the inconvenience. And if you don't foresee storage issues, the standard Brydge 12.3 is a perfect option. Most importantly, you don't have to worry about breaking the bank. Prices start at an affordable $129. You can get more information about these keyboards, as well as their entire line of portable batteries and accessories by visiting their website. You can also buy the products now on Amazon.